A preview for all the cosmetics that are available at the new Farmer’s Faire festival from the Town Crier. I’ve also listed the hand-held items that you can swap into your weapon slot. This is actually a hauberk. Hauberks have thick leggings underneath which clip through many boot models, including the Gardening Boots. 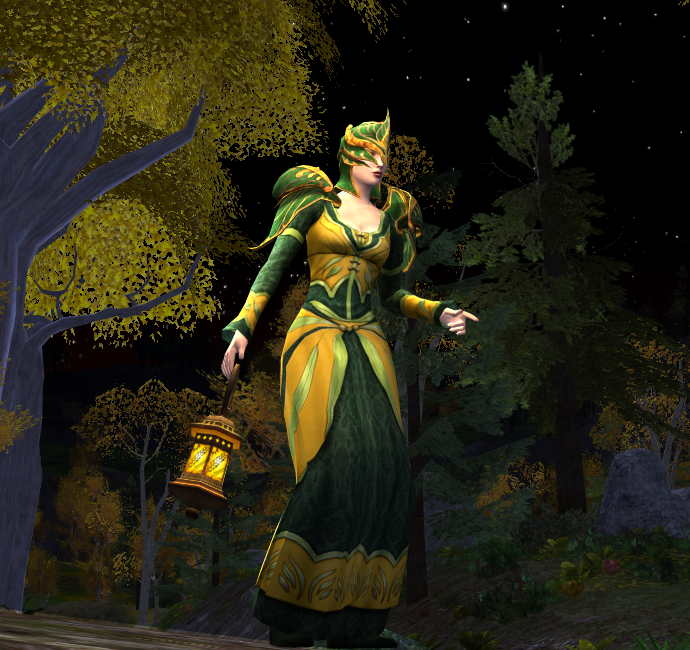 Here’s a preview of the new Farmer’s Faire 2012 mount. It costs 2 race tokens and 120 Farmer’s Faire Tokens. This sounds like a lot but what I’ve seen from the quest rewards so far, the amounts that are rewarded are quite generous. I has a black and brown tack decorated with golden wheat. The steed has +62% speed and 200 morale, just like the last Anniversary steed, so this seems to be the new norm for festival steeds that used to have 100 morale in the past.